This flute duet is taken from Blake's Young Flutist's Magazine, a collection published in Philadelphia in 1833. 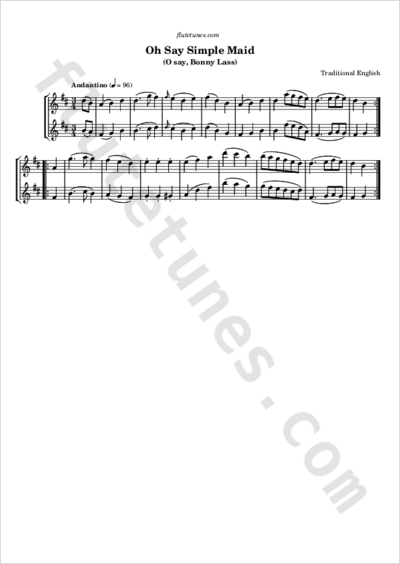 It is an arrangement of a dialog from the 1787 comic opera Inkle and Yarico, which was in turn based on a traditional English melody and song known as “O say, Bonny Lass”. As testified by manuscript collections of the time, this song was sung during the American Revolutionary War.